Triangle Fire Systems Ltd are one of the UK's leading specialists in Residential & Domestic Sprinkler Systems. 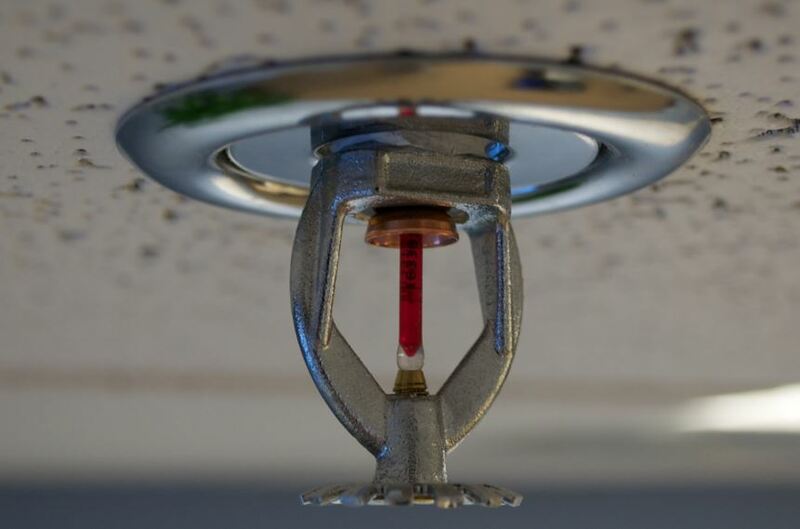 Look at the ceiling of any public building and you’ll notice that fire sprinkler systems are everywhere. To the untrained observer, one sprinkler system is probably very much the same as another. On the contrary, there are several different types of fire sprinkler systems. Even the extinguishant varies according to the building’s environment and temperature settings. Each solution is colour coded. The sprinkler system we are familiar with today has its roots in Hiram Stevens Maxim’s 19th century design. After its patent ran out, Henry S Parmalee took on the design in 1874 to protect his piano factory. Incidentally, rather than being known for fire sprinklers, Hiram Stevens Maxim’s biggest contribution to engineering was the ‘flying machines’ ride at Pleasure Beach Blackpool from 1904. Back to modern sprinkler systems: there are eight different colour codes and eight varieties of sprinkler taps. This article aims to give you an easy-to-understand reference guide. A sprinkler tap as most laypersons would recognise them would be the conventional, upright versions. 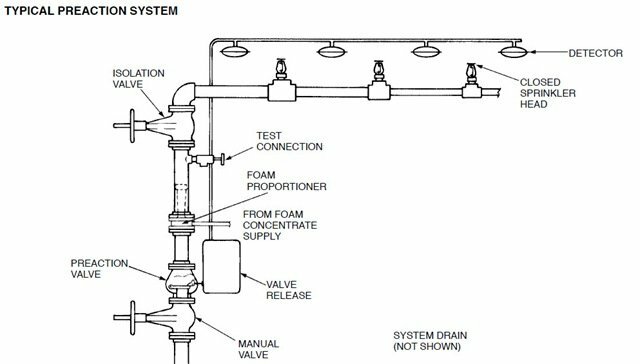 Conventional systems have a spherical system of distribution which points to the ground like a shower head. Similarly designed, though with nozzles pointing downwards, pendant sprinkler systems work in a similar way, but are recessed, concealed and less intrusive. The concealed pendant tap is discreet, with a baffle to mask the nozzle. They are popular in offices and public buildings. Horizontal and vertical sidewall sprinklers (including concealed horizontal sidewall versions) have more functions than standard sprinkler systems. As well as the nozzle, another key part of any sprinkler system is the bulb. The bulb can vary in thickness. Colours vary according to temperature settings, as detailed in the table below. The colour codes seen above relate to the glass bulb colour. Ordinary sprinkler systems have orange or red bulbs. Intermediate, yellow or green. High temperature bulbs are coloured in blue up to 246 degrees Celsius, then purple up to 302 degrees Celsius, and black for anything above. These fall in the Very Extra High and Ultra High categories. Wet Pipe sprinkler systems are the most common type of sprinkler systems in use. They are seen in offices and houses and are so-called, as the water-based extinguishant is stored under pressure in its pipes. Activation is immediate. Where pipes are likely to freeze, dry pipe sprinkler systems are an alternative to the standard wet pipe systems. Nitrogen gas or pressurised air is stored in the pipes, which are activated before being followed by water. Unlike its wet pipe equivalents, there is a slight delay. Deluge sprinkler systems are typically used in areas where rapid fire damage is a major concern. For example, warehouse loading bays and high rise windows. They are similar in design to wet pipe installations though with one major difference: the nozzle is always open. Another difference is how a deluge-based sprinkler is triggered. This is via a special alarm that opens a water release valve. 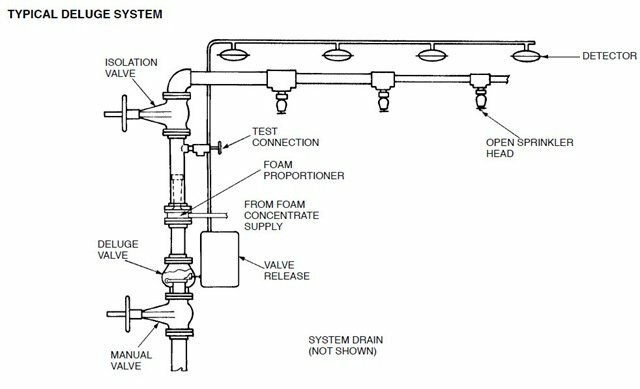 The pre-action sprinkler system is a combination of wet pipe and dry pipe sprinkler systems. They are typically used in areas at high risk of water damage. Water isn’t stored in the pipes until a fire detection system detects a fire. Firstly, the device opens a valve within the pipes that releases the water. This occurs prior to the opening of the sprinkler heads. On opening, its response time is as fast as a standard wet pipe sprinkler system. 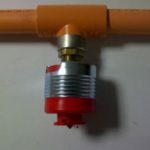 You can find more articles about sprinklers and other topics on fire safety at the Triangle Fire Systems blog. Who makes fire sprinkler systems? The world’s leading manufacturer in fire sprinkler systems is Tyco Fire Protection Products. They are a multinational company formed in 1960 by Arthur J. Rosenberg with fire protection and security products the mainstay of their business. Their HQ is situated in Cork, Republic of Ireland. Another principal manufacturer is Wormald International. They are an Australian company, whom at one time, were a subsidiary of Tyco International. They were formed in 1889 by brothers, Joseph Dawson Wormald and Henry Percy Wormald. Both left Edinburgh for Australia to import Mather and Platt’s systems, manufactured in Newton Heath, Manchester. After being a subsidiary of Tyco, they were bought by New York City based private equity company, Evergreen Capital, L.P. (Australia, Fiji) in 2016. There is also a number of independent companies. A great many, based in the UK, are members of the British Automatic Fire Sprinkler Association. The professional body was formed in 1974 and has affiliations with overseas bodies like the American Fire Sprinkler Association. Business owners have many responsibilities, but the consequences of neglecting your fire safety responsibilities are potentially unthinkable. 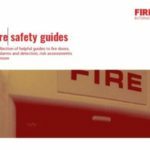 Fire sprinkler systems: a guide to designs, colour codes and suppliers Triangle Fire Systems' primer on everything you need to know about fire sprinkler systems, including types, nozzles, and tap designs. Alan Watson. Director. Flowco Mariflo Ltd.